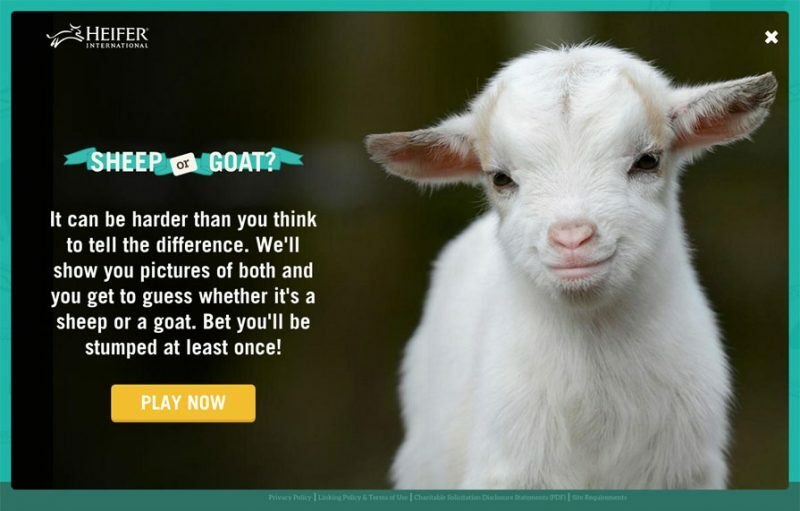 The Sheep or Goat Quiz is a fun campaign for Heifer International to celebrate the animals and the impact they have for farming families. Heifer International was a great client to work for, not only for their efforts to ending hunger and poverty, but additionally for the ability to carry out such fun and furry campaigns to engage their community. 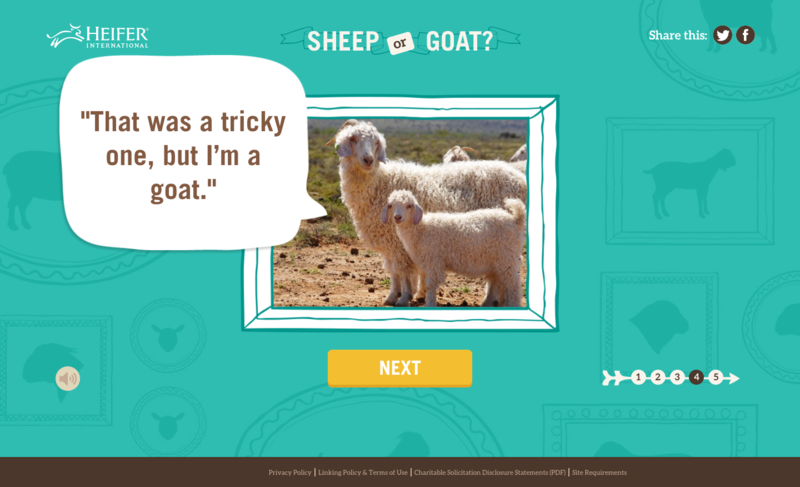 Take this quiz with sound enabled and test how well you know sheep and goats! 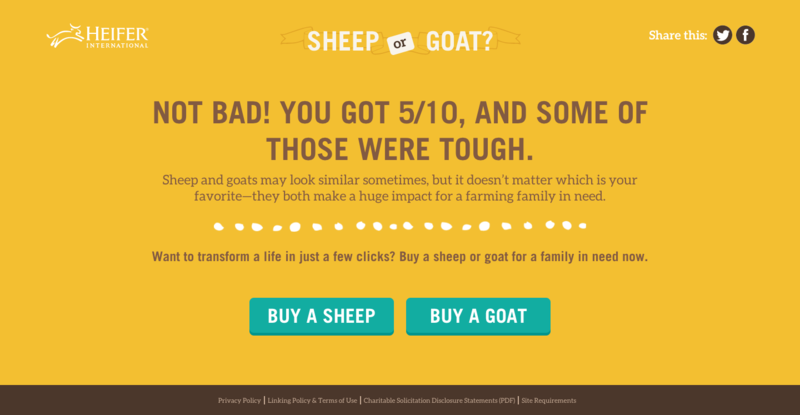 Sheep or goat? Let the farm animals tell you themselves!